The representatives of incoming ​Chelsea manager Maurizio Sarri have been in London for contract talks with the Stamford Bridge hierarchy. Italian outlet sportitalia (via ​tuttonapoli.net) report that Fabio Giotti, the man who represents Sarri, flew to London at 8am last Friday, along with Sarri's agent Fali Ramadani. Sarri to Chelsea confirmed then. The Premier League is going to be f*cking incredible next season. Klopp, Pep, Sarri and Pochettino. The pair immediately met with Chelsea director Marina Granovskaia, who deals with contract negotiations on Roman Abramovich's behalf. Sarri is still under contract as the manager of ​Napoli, with his replacement Carlo Ancelotti set to take over from 1st July. 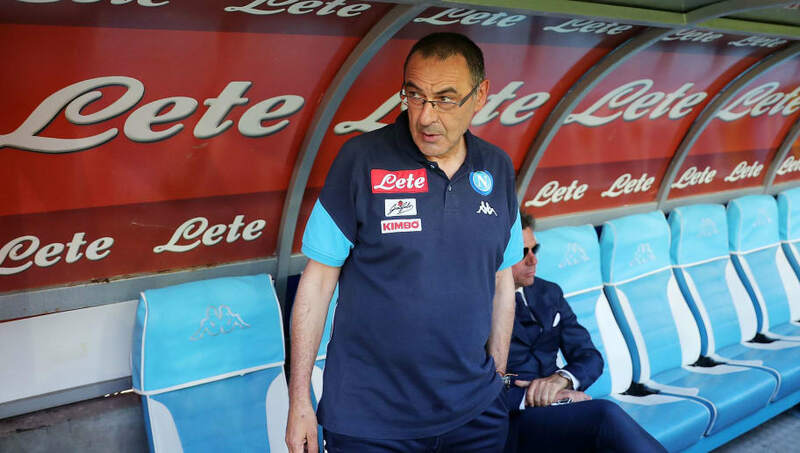 The 59-year-old Italian manager took charge of 147 Napoli games since he joined the club in 2015, recording an impressive 97 victories - which amounted to a 65.99% win ratio. An impressive 2016-17 season saw Sarri crowned ​Serie A 'Coach of the Year', with him also picking up the Enzo Bearzot Award. After spending the entire afternoon in talks with Chelsea, Sarri's party of representatives thrashed out a deal that will see Sarri earn €6m per season over three seasons. Chelsea will have an option to extend his contract by a further two years. A full agreement with Napoli is close, with all the details expected to be ironed out between the two clubs in the coming days. Chelsea have already started work to sign Sarri's primary transfer targets, with Daniele Rugani and Kostas Manolas said to be on their radar.